Discussion in 'General Discussion' started by Hyperion, Sep 23, 2016. 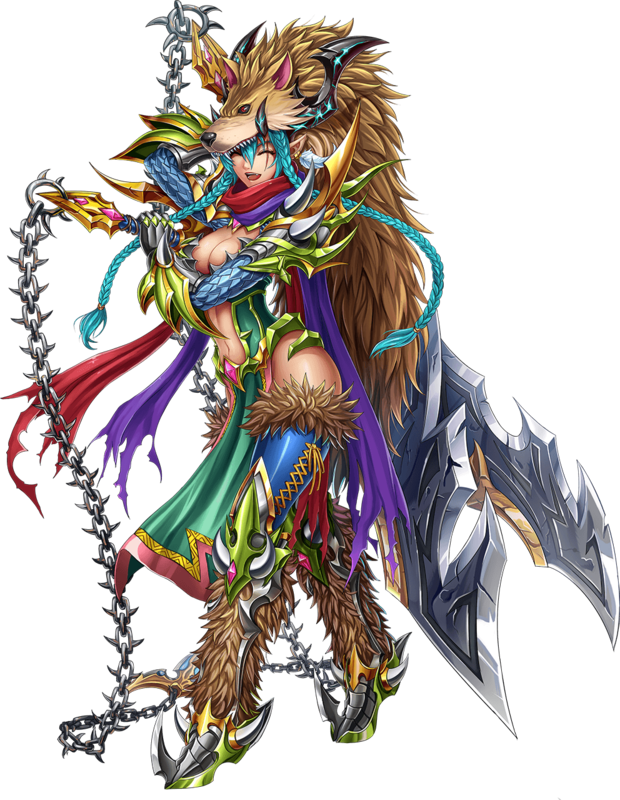 Ensa-Taya will be back for only a limited time on our Summon Gate. Watch out for it and don’t miss this rare opportunity to obtain Ensa-Taya! HOLY SHITZ. I was anticipating something like this but for it to be real? MalcolmXofArt and Nightvayne283 like this. I guess this goes without saying - her limited time gate is coming back much like Juno's? Must be, for them to announce how "good" she is and then "oh btw, here is her gate again"
[Edit] - just read below in gumi's own post that she's coming back for sure. When are they gonna do a GQ for these girls. I soooo want to see GQ art for them. Actually this updated kit looks much like what i had expected out of her OE when it was released. Looking back, it wouldve pretty much been so OP that upcoming Omni-units wouldve been trivialized. This is great. More people will have a chance of having her and the upgrades are pretty nice. While those buffs feel unneeded, the unit is meta enough as it is, no reason to complain (was actually hoping, similar to buffing Juno's ES, they would buff her ES's DMG+ to Ailed Enemy, because its a more uncommon buff than the ones she got buffed). Would have been weird if Juno would have been the only one who'd gotten the re-release, so this didn't come as a big surprise. Thank you based gumi. Thank you so much. Those are some crazy buffs. Now that I have Adriesta and other BC spark units, I think I'll respec my Ensa for pure damage. I'm pretty happy with the buffs to these limited units. Have no issues with them being rereleased, and getting major buffs like this ensures that my investment in them goes a lot longer than typical permanent units. I wish they reduce the cost for "Adds powerful attack at turn's end to BB/SBB, massive attack at turn's end to UBB"
They should just get rid of "limited" gates to begin with. Call them "seasonal" gates. Or "cash grab" gates, if you prefer. Bottom line: Juno and Ensa are great units, and if you don't have them, then you should have the opportunity to get them. For those (like me) who joined after Zeru was long gone, we are at a permanent disadvantage for leveling. The introduction of guilds and the XP bonus did mitigate much of it, though a few % difference can mean weeks / months of time saved. Once summoner mode comes out, I plan on clearing content and then going back to grinding the main towards 999, however long it may take. In a PvE environment it means nothing but in the PvP setting (coliseum) where having better units/Elgifs makes a difference in how fast you can rise up, then it makes all the difference. Also re-releasing meta units such as Terry so people have a chance of winning at the higher tier. Anyway, everyone is entitled to their own salt. Wtf. Thanks gimu, thank god i have her too.